aerobd.news : The helicopter had 22 people on board when it went down in Russia’s Yamal peninsula. At least 19 people are feared dead after an Mi-8 Russian helicopter crash-landed in north western Siberia, according to reports. Investigating authorities issued a statement on Saturday morning (22 October) confirming the incident. It said the transport helicopter, operated by Skol airlines, went down with 22 people on board on Friday night local time outside of Novy Urengoy city in Russia’s Yamal Peninsula in northwest Siberia. The Mi-8 was reportedly flying from the Siberian region of Krasnoyarsk to Urengoy in the Yamalo-Nenetsky region. It crashed around 2 to 3pm GMT on Friday (21 October), AFP reported. The Russian Emergencies Ministry said it was informed that a helicopter made a hard landing soon after the incident took place but it did not receive any report on casualties. One survivor, who was trapped, is thought to have made a phone call from his mobile to the authorities. 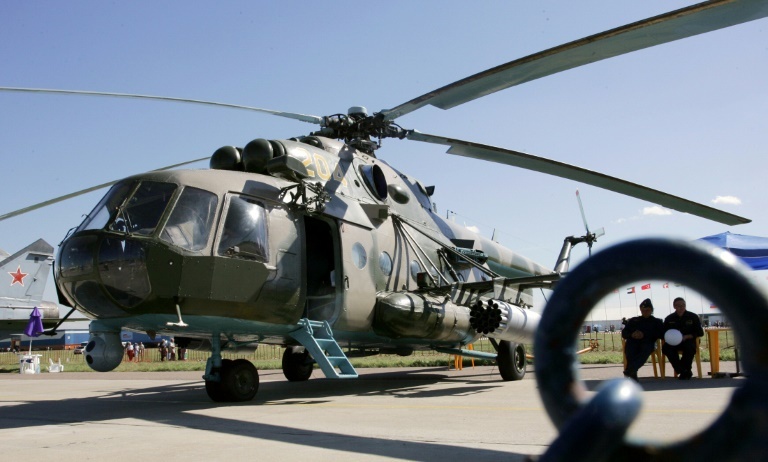 The two black boxes from the helicopters were found to be “in good condition” although it was reported that the Mi-8 was damaged badly upon landing, according to RT news. It said the helicopter fell onto its side but did not explode. Difficult visibility conditions were reported on the ground, which is said to have hindered the search for the crash site and the rescue operation, according to the regional emergency ministry. Last year, a similar helicopter crash claimed 15 lives outside the western Siberian town of Igarka.